Mr. Overstreet has 45 years of martial arts training and has won many national and international championships. He holds six black belts in multiple martial arts systems including three master level. 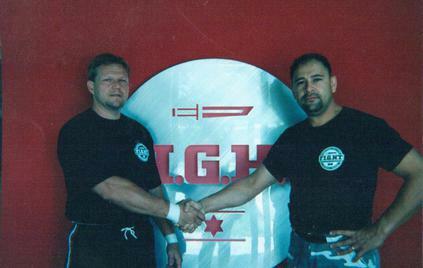 Mr. Overstreet also holds the highest instructor ranking in Krav Maga. Mr. Overstreet has worked in executive protection for over 30 years, and has and continues to train protection professionals in defensive tactics. Having worked in the most hostile streets, Mr. Overstreet discovered that many of the traditional/ sport martial arts techniques were not street applicable. Krav Maga is Battlefield Proven! martial arts system developed for today's violent world. Krav Maga is battle proven and street ready. Krav Maga is continually enhanced.